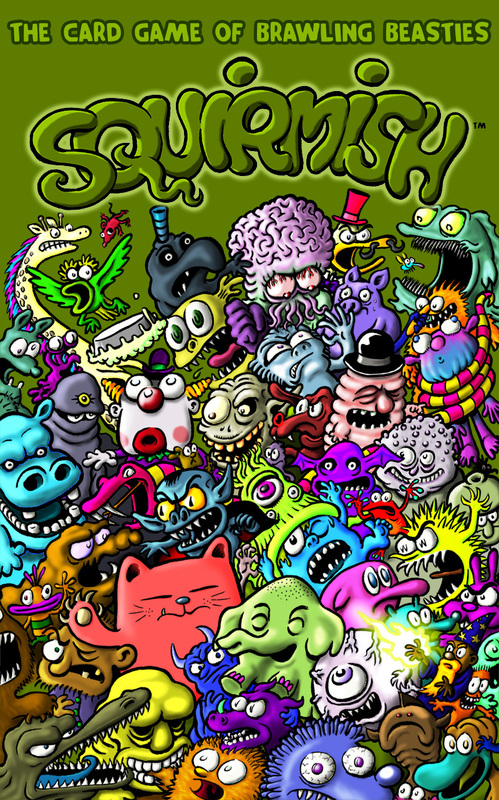 SQUIRMISH™ – The Card Game of Brawling Beasties! 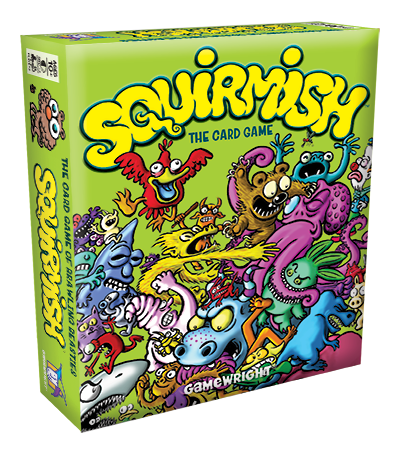 SQUIRMISH™ is now available from Gamewright! Enter The Squirmish! – A ridiculous rumble where creatures clash and only the strangest survive! Draft an odd squad of warriors, with names like Thugator, Pompaduck and Killgor the Conqueror! Each of the seventy scrappers has its own preposterous powers, so you’ll need strategy- and a bit of luck- to survive! For two to four players ages ten and up. Includes 70 cards, 4 dice, and 40 googly-eye hit counters.